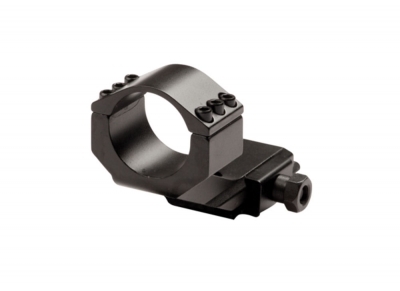 One-piece mount intended for lightweight 30mm scopes or Dot-sights. Keeps the scope/Dot-sight higher of the rails, for fast aiming. Holds scope/Dot-sight in one wide-body ring. Fits scopes and dot-sights with a 30mm (1,2 in.) body. Mounts on 21mm RIS rails.